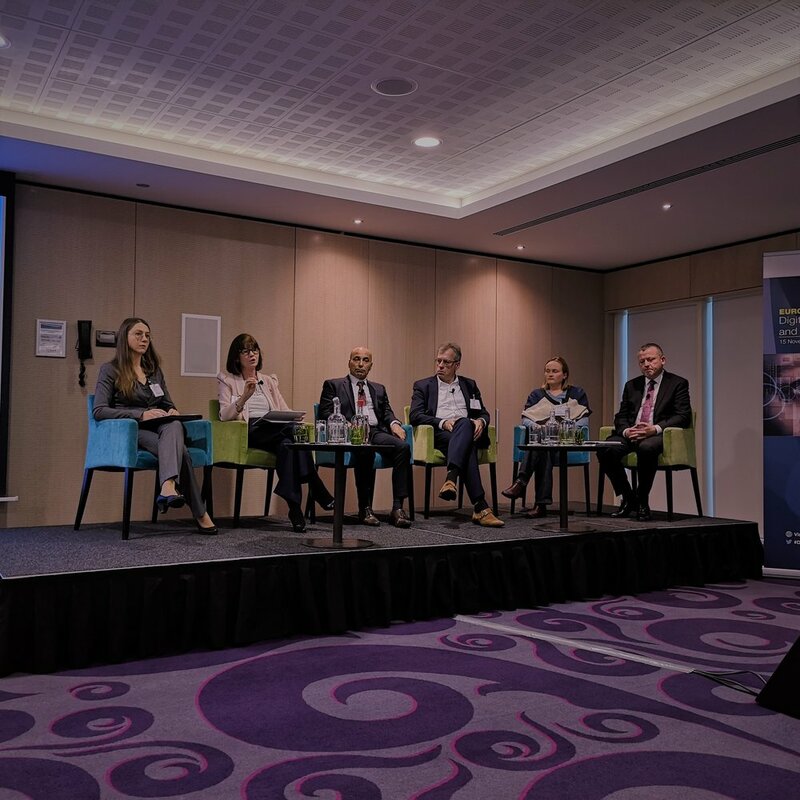 The European conference on digital transformation and IT professionalism took place in Brussels on November 15, highlighting initiatives to promote the IT profession and increasing the EU talent pool. The conference was attended by stakeholders representing European and national institutions, industry, as well as higher education, who came to show support for furthering the ‘EU Skills Agenda’ and discuss how to close the skills gap in the supply and demand of IT professionals. The event centred around two initiatives, which included providing new insights into current and future IT professionals’ skills gaps, as well as presenting the recently finalised digital organisational framework, focused on the enabling of IT competences and professionalism at organisational level: ‘DigiFrame’. Key figures were presented by Werner Korte of empirica, who highlighted that the shortage of IT professionals could potentially reach 749,000 by 2020. He also mentioned that, by the same year, the lack of IT skills may affect 90% of all European organisations and result in €79 billion total lost revenue. It was later added by Claudia Crummenerl, of Capgemini Invent, that 55% of organisations surveyed do also confirm that this talent gap is a threat to their digital transformation programmes and that they are losing competitive advantages because of the shortage of highly skilled IT professionals. Zane Schweer of Global Knowledge presented the important role of certifications and showed that they are key in skills validation. He highlighted that, while 46% of companies required certification in order to consider a recruitment in 2008, that number has gone up to 72% in 2018, according to their research. Niels van der Linden of Capgemini Consulting presented the newly developed digital capability reference framework (DigiFrame) for enterprises, which offers an approach to help enterprises take advantage of the opportunities offered by digital technologies. This initiative is set in the context of the struggles enterprises undergo to build strong digital capabilities and take full advantage of new technologies. Speakers at the event agreed that there are strong benefits to gain from using a capability reference framework that connects organisational capabilities and competences on the individual level. 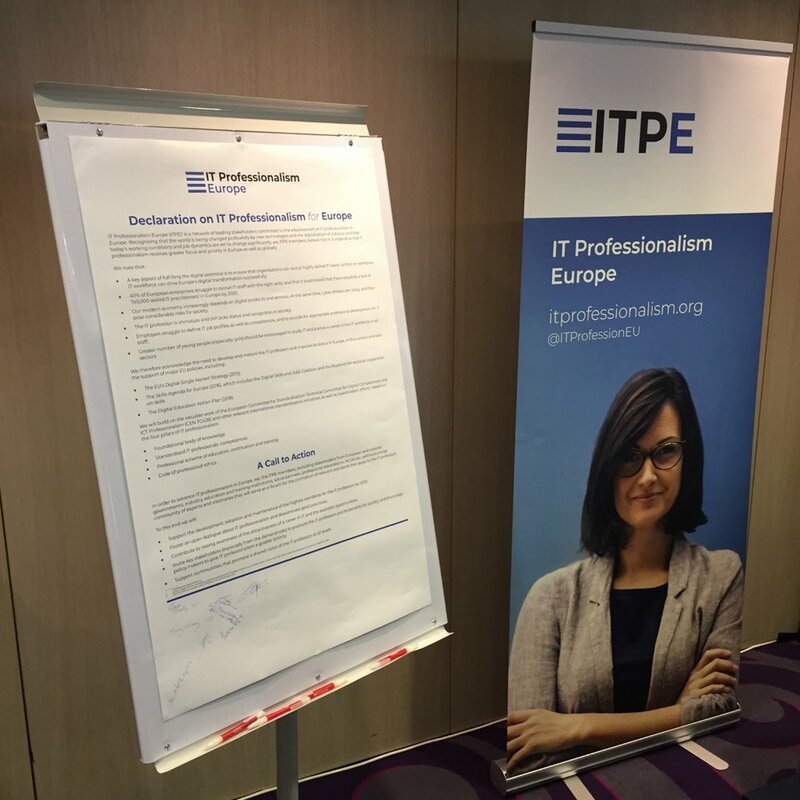 Declaration on IT Professionalism for Europe was presented by IT Professionalism Europe (ITPE); a growing network of experts from all sectors committed to professionalising the European IT workforce. The declaration invites all stakeholders to sign and show their support for fully developing the IT profession by 2025. Members of ITPE are convinced that it is imperative that IT professionalism receives greater focus and priority in Europe, and their overlying aim is to mobilise a large community for the promotion and the adoption of the highest standards that apply to the IT profession. Everyone interested in the role of IT professionalism in Europe is invited to visit the ITPE website and provide their signatures by the end of 2018. Final panel featuring (from left) Austeja Trinkunaite (CEPIS), Mary Cleary (ICS), Carmel Cachia (e-Skills Malta Foundation), Floor Scheffer (Tata Steel), Anna Stepanoff (Wild Code School) & Damien O’Sullivan (ECDL Foundation). IT professionalism standards were also discussed at the event and included a presentation by Floor Scheffer of Tata Steel Europe about his team’s new skills-assessment tool, modelled after the e-Competence Framework (e-CF). He pointed to the high agility of the common framework when adapting it to own business needs, and the panel agreed that awareness raising regarding the e-CF, as well as training, should be promoted in order for the common framework to be used more widely across Europe. Closing the event, André Richier, responsible for IT Professionalism and skills at the European Commission, confirmed the need to advance standardisation of professionalism within the EU and urged all stakeholders to capitalise on the current momentum of digital skills. Further details from the event, including presentations, can be found on ictprofessionalism.eu.